We offer you an unrivalled experience which combines personalised, one-to-one athletics training with group runs, in addition to training experience with our registered competitive club, Run Africa AC. We’ll put together a programme for you that combines these elements to give you a fun, challenging and inspirational experience of your time here. · An easy morning run where you discover different landscapes and running culture of Ethiopia. A platform for meeting other running enthusiasts of all levels. Breathtaking views over the city and other local surprises. An elite athlete of the Run Africa team as coach. Tips and tricks from experienced runners. Join our regular weekend group run-hike (7am every Saturday). · An individual training with an elite athlete of the Run Africa team. · A customized session that fits with your schedule. 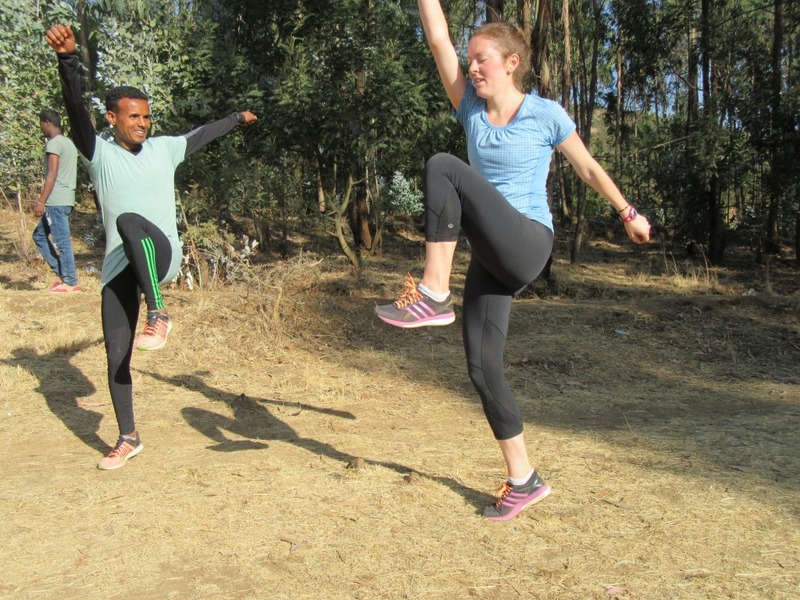 · An insight into Ethiopia’s rich running culture, training locations, exercise drills and nutritional tips. · Breathtaking views over the city and other local surprises. · Tips and tricks from experienced athletes. · Warm-up and warm-down dynamic stretching sessions. · Pick-up and drop-off from your hotel. · The experience of participating at the official training of the Run Africa Athletics club. A member of the team personally guiding you through the session. Warm-up and warm-down dynamic stretching sessions with the whole team. Tips and tricks from experienced athletes. $49.00 per person, per session. Transport included. If you are interested in an all-inclusive training package, such as a visit to Bekoji, the Town of Runners, please click here. Are you part of a larger group or club? Get in touch! We can build a customised training programme for all or part of your group’s visit to Ethiopia.